The perfect yet healthy addition. This receipe is my all time favorite salad dressing. While I was vegetarian I was able to perfect a healthy but very tastey salad dressing. All you need for this is extra virgin olive oil, a good thick balsamic vinegar, fresh lemon juice, salt and pepper. The higher quality olive oil and balsamic is what makes this dressing wow your taste buds. However, sometimes I choose to spice it up by adding dried rosemary or hot spices. Although whatever salad you are making this pairs great by adding flavor but doesn’t mask any flavors of the fresh vegetables. My favorite salad with this dressing is used with baby bibb lettuces, apples, avocado, walnuts and a good cheese. I like to use an aged Gouda, Sartori Belle Vitano Gold, or Parmesan. 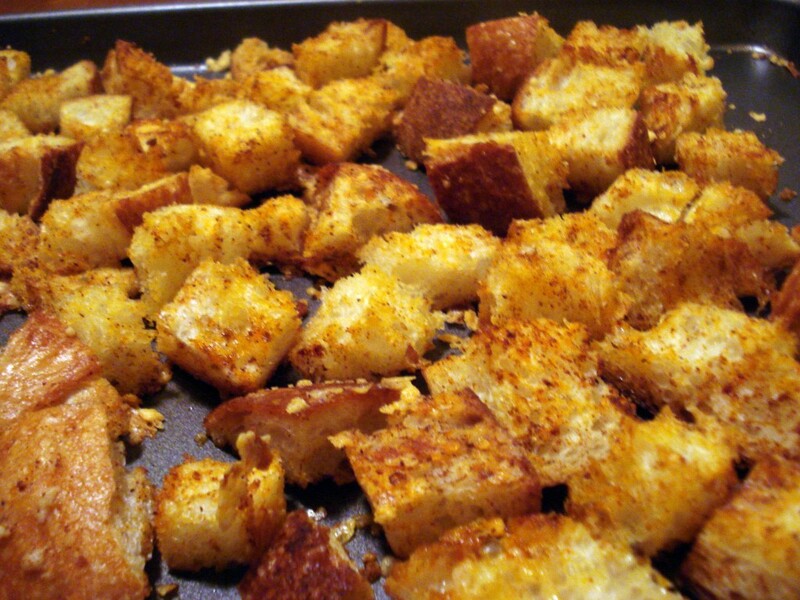 If I don’t have walnuts (which offers an excellent source of protein) I choose to make my own croutons. In order to do this I take stale bread and chop it up to half-inch squares and put in a plastic bag with olive oil, dried rosemary and salt. Then place them spread out on a cooking sheet and broil until golden brown, this only takes about a minute or two. Then flip them and watch carefully, they cook faster the second time. Be careful with these because sometimes its easy to eat them all before they make it to the salad. Eat well and stay healthy, Bon Appetit.